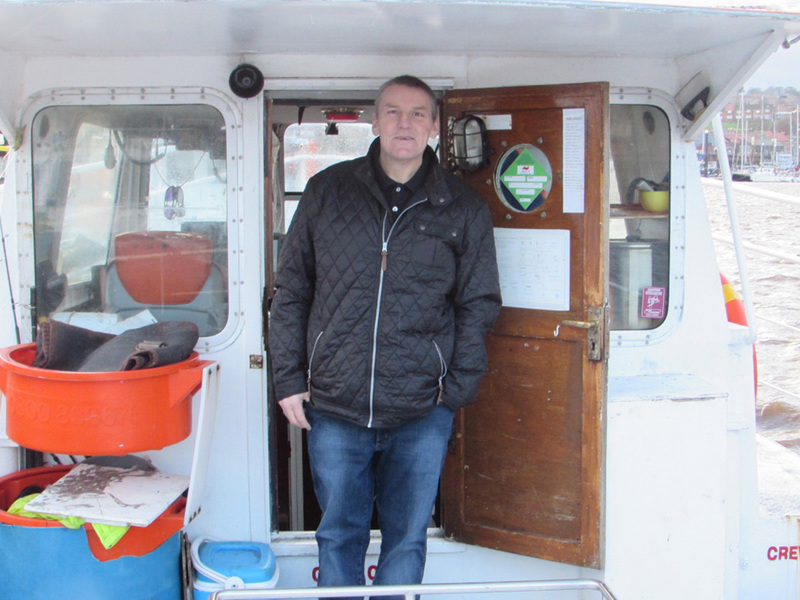 Skipper Shaun Elwick is well known in Whitby for his ability to put both visiting and local anglers onto some great fishing. Whether beginner or novice, he gives 100% in ensuring your day afloat is some of the best Whitby boat fishing the port has to offer. He brings a lifetime of experience with him on every trip, having worked as both a charter skipper and crew hand for over 30 years on boats such as Alliance’s sister vessel Trot On and Colin Freeman’s Saxon Lady. He knows the ground and wrecks off Whitby like the back of his hand and as such knows the intricate details such as tide size and seasons that can make a mark fish at its very best. Shaun welcomes experts and novices alike, and is generous in sharing the immense angling knowledge he has gained throughout his lifetime. Whether its big Autumn ling, powerful pollock on jellies or the hectic Summer cod fishing- Shaun will always endeavour to put you onto the best fishing and best fish available on the day.